Sometimes you get a left curve that you actually connect with and pop it out of the stadium. Well that is how it felt the other night. It was going to be a quiet night of maybe some writing, and finishing off packing for a quick get-away, and just a quiet dinner home, as the weekend would more than make up for this quiet night. Instead of what was to be expected, one of the phones in the house rang, and we found that a dear friend from Charlotte was in town early, we thought that with our planned trip, that we would miss her visit. Not only was she in town early, but she was with another mutual friend and they had just invaded the bar at Fleming’s near our home, and wanted to know if we wanted to join them. Of course that invitation was accepted most graciously and we were out the door in minutes. By the time we got to Fleming’s they had secured a table a table and had started without us on the beverages, and to be truthful, I can’t blame them, as we would have done the same thing. We all ended up getting the cheeseburgers at Fleming’s and it is still one of the best bar burgers that I have found, though instead of a side of onion rings, the more prosaic French fries accompanied the order, but at least they were hand cut and well done, which is the way I prefer them, if I have to have them. It was over-kill for me on potatoes, because we had been munching on the home-made potato chips earlier with our first rounds of wine. 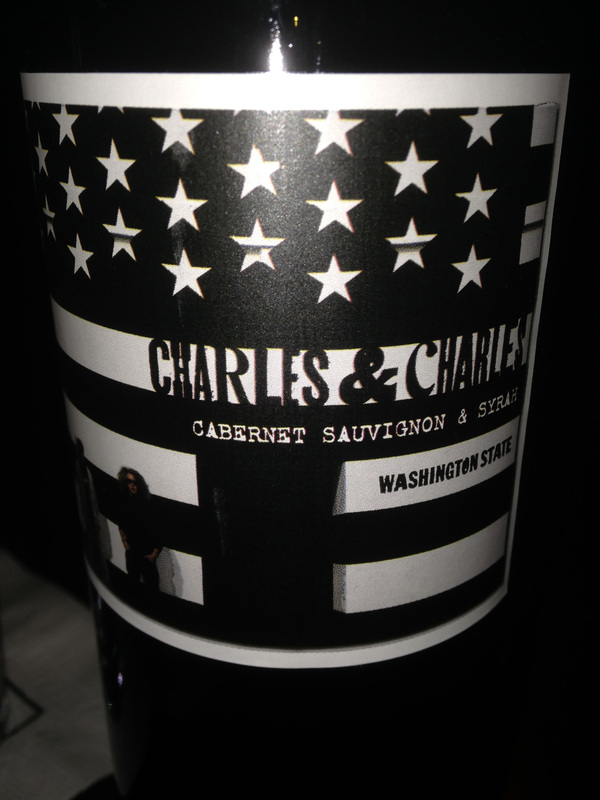 I started off by having a glass of Charles & Charles Cabernet Sauvignon & Syrah 2014, made by Bieler and Smith, both of whom are named Charles. The blending of Cabernet Sauvignon and Syrah (Shiraz) is very popular in Australia, and this wine is from the Columbia Valley in Washington State. I found this wine listed as being from the Wahluke Slope AVA, a subset of the Columbia Valley. Wahluke Slope is a high production area with Merlot, Cabernet Sauvignon and Syrah to be the leading varietals. I will have to surmise that the wine is blended with other wines because the label read Columbia Valley and not the smaller AVA of Wahluke Slope. While the wine was fine, all the women were drinking another wine and all raving about it. The wine that they were enjoying was Bodegas Bagordi Navardia Rioja 2014, and while I enjoy Rioja wines, I had this same wine from the 2012 vintage and thought it was on the light side for a Rioja. This fully organic wine in the later vintage was most enjoyable, in fact I switched over on my second glass and joined the ladies as this wine was great and worked so well with the burgers. 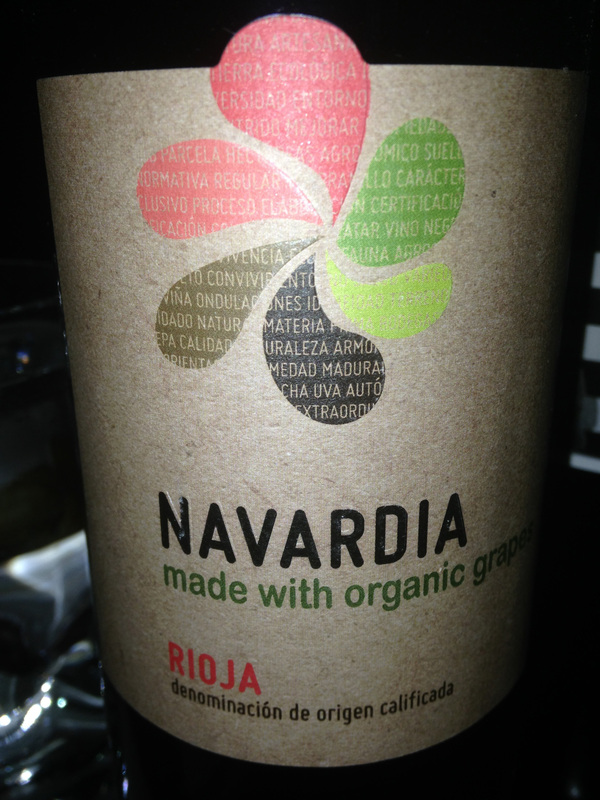 This Rioja is a classic blend of Tempranillo, Graciano and Garnacha. Another lesson that I learned is that always give a wine a second chance, especially if it is from another vintage. This entry was posted in Dining, Wine and tagged Bodegas Bagordi, Cabernet Sauvignon, Charles & Charles, Columbia Valley, Garnacha, Graciano, Navardia, Rioja, Spain, Syrah, Tempranillo, Wahluke Slope, Washington. Bookmark the permalink.